Auto Zone is one of the leading car and automotive part retailers in the United States. They have over 5,200 locations spread out over 49 states. As they grow, new positions are being created, leading to great career opportunities for those that love working with cars and helping other people do the same. As a result of this, the company is always looking for talented, new employees. If you’re looking for a career at Auto Zone, or at any car part retailer, here are some basic facts that you need to know before applying. Because this is a large and growing chain, there are a wide variety of jobs currently available through the company. The part sales position is one of the most basic starting points. This employee is responsible for helping customers find the right parts for what they are trying to do, correctly process their payments, and act as representatives of the store. Other entry level positions exist too, including customer service representatives, delivery drivers, and sorter clerks. Part sales positions tend to start out paying $8 per hour and can go up as high as $10 per hour. Customer service reps can expect to make a base wage of $9 per hour, while drivers can see their pay go up as high as $13 an hour. Plenty of other, non-managerial roles exist within this company. They have a commercial sales team, distribution centers, field support, and an e-commerce station, called AutoAnything, where there are plenty of tech and sales jobs held. These also have an auto repair software developer branch called ALLDATA. Any of these may be more to your suiting, if you are looking for a more unique career path. Management positions exist within this company, as do corporate roles. These tend to require advanced experience and a college degree of some sort. Business degrees are helpful for those that are pursuing careers in operations. Managers, when starting out, should expect about $30,000 a year, but this can go up to $60,000 once experience is gained and results are proven. There are also a ton of corporate positions available, ranging from finance, to human resources, to legal. If you wish to apply for one of these positions, a strong resume and education background is required. Auto Zone was founded in 1979 in Arkansas, and has quickly become one of the world leaders in car part sales. They have a strong customer base, and a core of devoted employees. The company does a lot to take care of both, including benefits for employees. AutoZoners can expect medical coverage, complete with a heavy emphasis on preventative care, dental, vision, life, and disability insurance, and retirement savings with 401(k) matching up to 4 percent of the first 5 percent of your paycheck that you set aside. The other reason why a career at Auto Zone is appealing is because it is a diverse company with a lot of opportunities. Even if you start out with a relatively low paying, entry level position, if you are a hard worker and dedicated to the company, there are many chances throughout your career for you to move upward in the ranks. It’s not unheard of for employees to see promotions and keep moving up into management. 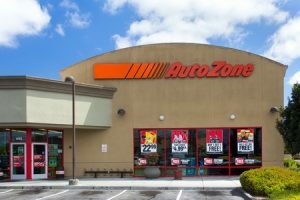 Most Auto Zone applicants must be at least 18 years old to get a position, although some driving positions have a minimum age requisite of 21 years old. Having a background in car repairs and retail is experience, but certainly not a mandatory thing as many employees are still learning as they go in this field. Still, having a love for learning new things, and being interested in this particular field are musts if you want to succeed in this industry and having these basic traits are a necessity as they’re something that hiring managers do look for in their candidates. It is expected that AutoZoners have a sincere interest in the automotive industry. It’s also an expectation that employees be good with other people. A strong set of interpersonal skills is needed as this is a company where many entry level employees deal with customers on a constant basis. Being able to work well with all sorts of people is needed, as is staying calm and kind in any conceivable situation. The first step for getting a job at Auto Zone is to apply. Their application is found online, under the Company Information header. Just click the careers tab, and you will be taken to the correct area. Here, they list the career opportunities available. You can also sort through them by location, if you wish. Do note that the application is not supported by all browsers. Internet Explorer or Firefox are the best for filling this application out without any sort of glitch. Ensure that you set aside about an hour of uninterrupted time for the application process so that you can go through it and answer everything as completely and accurately as possible. Once you’ve submitted the application, wait at least a week before you follow up. Following up can be helpful, and going into the store that you applied at is the best way to do this. Dress nicely, and be sure to be patient and polite. There may not be a manager there on that day, or they may be too busy to meet with you at that particular moment. This is normal, so just be sure to ask if there is a better time to come in and be prepared to reschedule your questions. If you are granted an opportunity for an interview, be sure to have a list of prepared questions. Interviewers often ask applicants if they have any questions for them at the end of the interview. They do this for a reason: they are trying to gauge your intentions with the job. Having serious, well thought out questions is a key part of not only showing that you are interested in the position, but that you have a sincere curiosity about the career and are willing to learn more. Apply Today! Become A Favor Delivery Driver. Now Expanding In Lubbock! 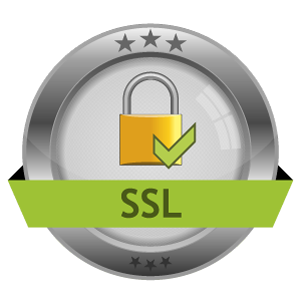 We are NOT affiliated or associated with any company on this site. Please contact and correspond directly with all companies through the employers’ respective sites. All trademarks are property of their respective owners.